The start of the week didn’t go entirely as Elissa had hoped. She was so close to a promotion, Elissa could literally feel it at her fingertips. However, her boss didn’t think so, so she came home with her measly paycheck. Obviously she was upset about it. 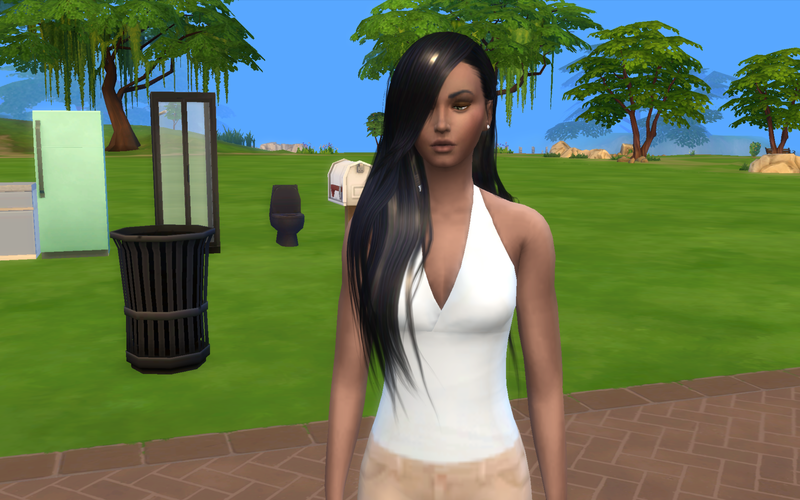 To get her mind off of it though, she decided to do a little renovation…perhaps get a roof over her head. Not much, but it was a start and gave Elissa some semblance of comfort. 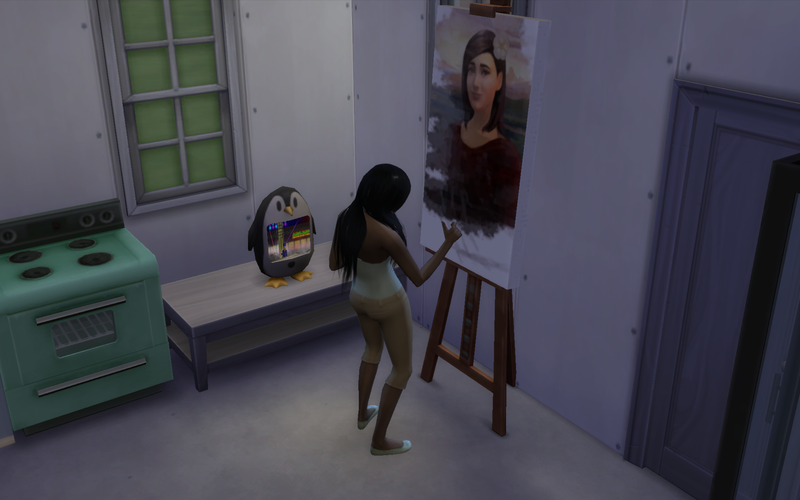 Wanting to create a few paintings to help her chances of a promotion, Elissa discovered the renovations did nothing to alleviate he tenseness she felt. 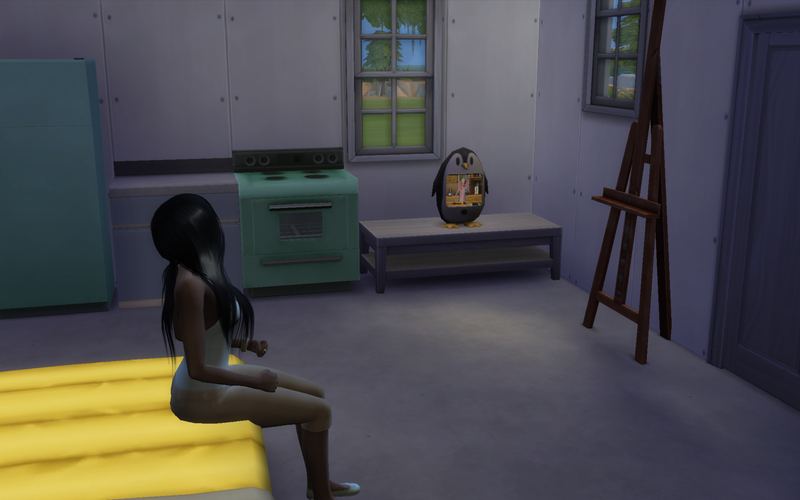 So she sat and watched an episode or two of MasterSim Chef. 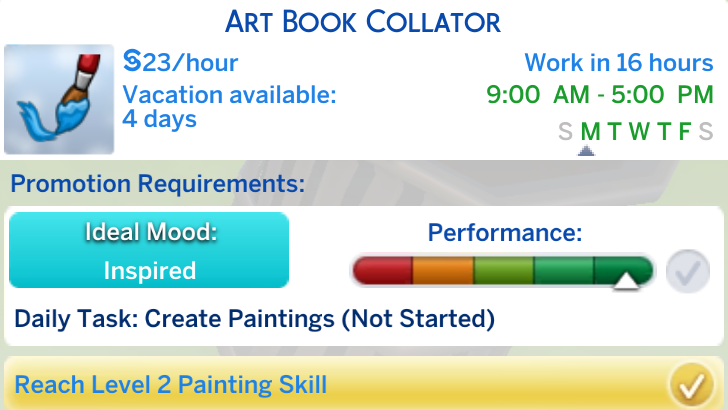 She was finally ready to paint and was quite surprised at what she ended up producing. The MonaSimsa. Hey, you get inspiration from anywhere, right? Just as she started on another painting, she got an alert of a text message. When she checked her phone and saw that the message was from Darrius, butterflies starting fluttering in her belly. Gosh, she had it bad…or was very close to getting there. She sent him a quick reply back to his statement: Can’t wait to see you. She couldn’t wait to see him either. She had finally did it…she had earned her second promotion and boy did it feel good. 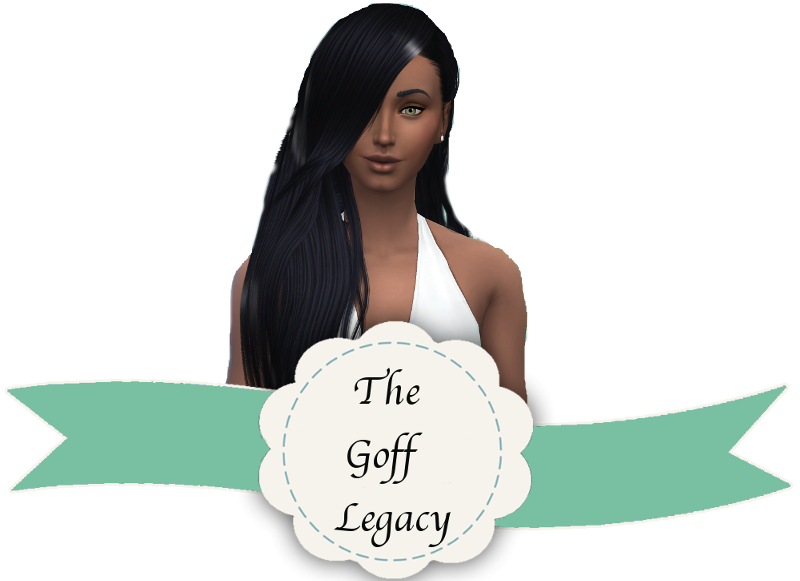 She sent Darrius a text telling him about it and he suggested drinks that tonight to celebrate. Yawning, she texted back that she would take a raincheck since she was very tired. 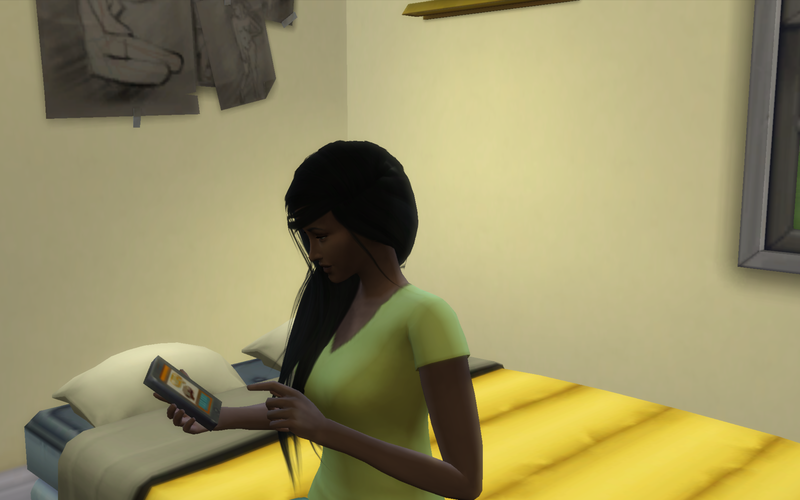 Just as Elissa was getting settled and getting ready to go to bed, she received another text message. She smiled and replied: Thanks Keon! See you tomorrow at work. Oh goodness. Do I smell a love triangle coming up? 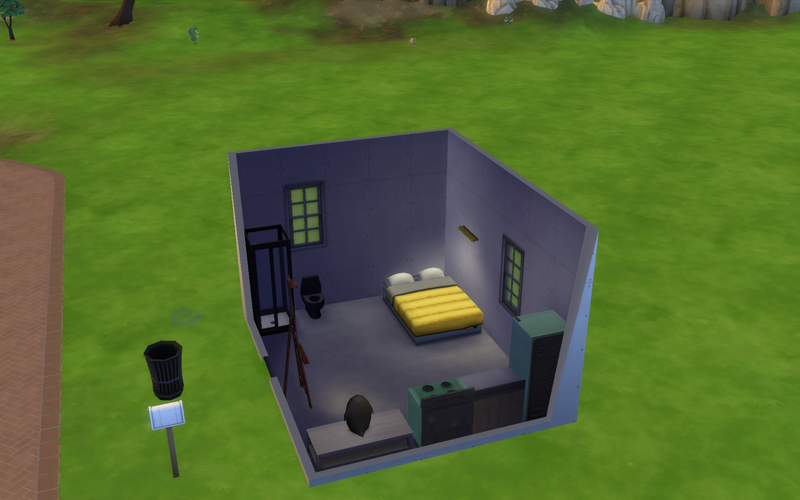 It’s funny how in all of these challenges where your sim starts with nothing I’m always WAY too excited when they finally get four measly walls and a roof lol. I’m happy that things really seem to be looking up for Elissa.